We have staff fluent in Hmong and Arabic and have interpreters available for other language needs. 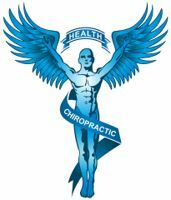 Dr. Hutchison is the clinic director at Camden Chiropractic. He did his undergraduate studies at the University of North Dakota before completing his post graduate work at Northwestern College of Chiropractic. He has spent many years furthering his education related to injuries caused by motor vehicle crashes. Dr. Cole did his undergraduate studies at the University of Minnesota-Morris and followed up at Northwestern College of Chiropractic. He was born and raised in southwestern Minnesota. He has been practicing for 16 years. He is very knowledgeable in treating motor vehicle related injuries and has been providing homecare visits for over 11 years. Dr. Hilo did his undergraduate studies at the University of Minnesota before attending Northwestern College of Chiropractic. He focuses on treating people injured in motor vehicle crashes. He continues to stay current on the most advanced treatment techniques for these kinds of injuries. Pachi has been a valued team member for the last three years. She can help answer any scheduling or insurance questions you may have.